…where the writer questioned some of the country of origin statements on Anathoth Farm products. Anathoth Farm’s intention is not to mislead and our aim is to be honest on our packaging. We provide specific information about where berries and other fruits are sourced eg. 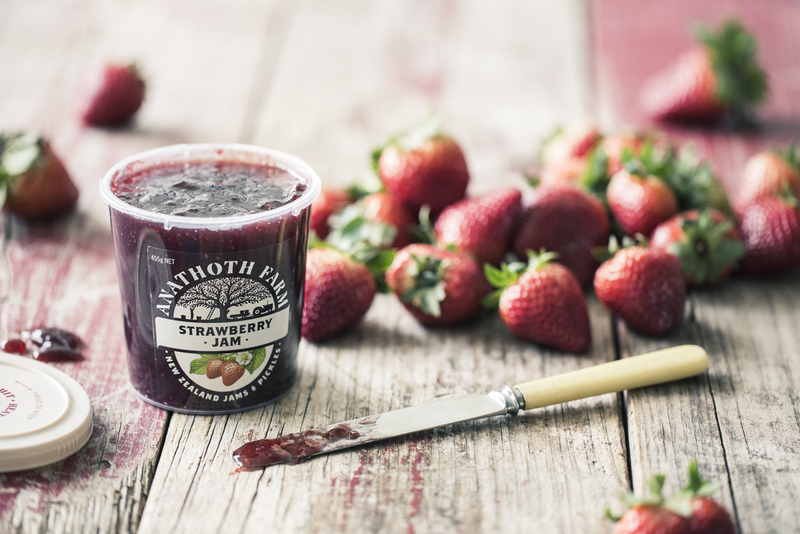 On our Raspberry Jam pot we say; “We prefer to use New Zealand fruit but NZ doesn’t grow a sufficient quantity of suitable raspberries. So we therefore also select good quality raspberries from Chile”. We changed our packaging about 5 years ago and added more information about where our fruit comes from, in an attempt to give more clarity to our customers. We were one of the first New Zealand food manufacturers to do so and we still remain one of the most honest food labels out there. However, in light of recent commentary generated out of the above article, we welcome comments from customers on any specific products you feel are misleading and we will review the wording on the pot. Our products are batch made on the farm in New Zealand and we strive to make great tasting products for everyone to enjoy. We appreciate the support from our customers and like to hear your feedback. We invite you to email us at jammaker@anathoth.co.nz.